Reviews of Microsoft’s Surface Pro 3 have generally been positive, at least as far as how well it functions as a quasi-notebook. 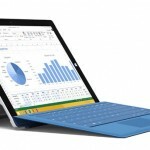 The praise has been less forthcoming, however, when reviewers have considered the Surface Pro 3 as a tablet. I’ve disagreed with them, finding Microsoft’s hybrid to make for an excellent–I’d say, superior–tablet, at least in terms of its hardware. In terms of software, there are a few times when I’m missing a touch-centric (in Windows 8.1, a modern UI) app, but I can usually make up for whatever’s missing on the desktop. Games is the one area where the iPad and Android tablets have a real advantage, but then again there are some PC games that run well on the Surface Pro 3 and aren’t available on iOS and Android (StarCraft 2 and Diablo 3 come to mind). Overall, therefore, even in terms of available software, I still prefer the Surface Pro 3 even as a tablet. In fact, what I’ve found since starting to use the Surface Pro 3 is that my iPad and iPad Mini basically sit idle, collecting dust now. 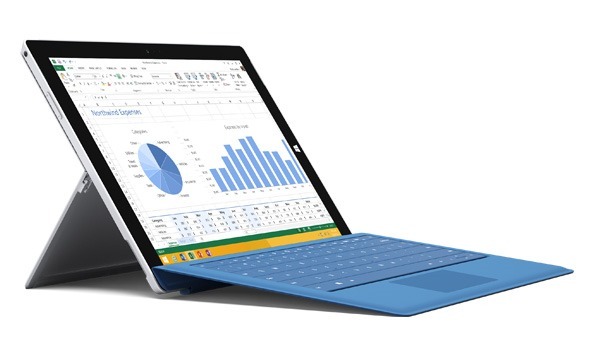 That is why the Surface Pro 3 is the laptop that can replace your tablet—or at least that’s what it is for me. I’ve said pretty much the same thing on a number occasions, although for me it’s my iPad 3 and Nexus 10 that are collecting dust. In fact, I submit that unless you’re looking to game on a tablet, you’ll conclude the same if you give the Surface Pro 3 a real chance. That means, of course, putting aside your preconceptions and really using the machine, which I’m not sure all that many reviewers are willing to do. In any event, it’s nice to see someone else appreciate the Surface Pro 3 as the excellent tablet that it is.